There are a few regulars in my family's Christmas cookie tradition and this bar cookie goes back as far as I can remember. One of my mom's personal favorites because she is allergic to nuts and prefers milk chocolate to dark, these toffee bars were a safe alternative to the many varieties of nut-laced toffees. 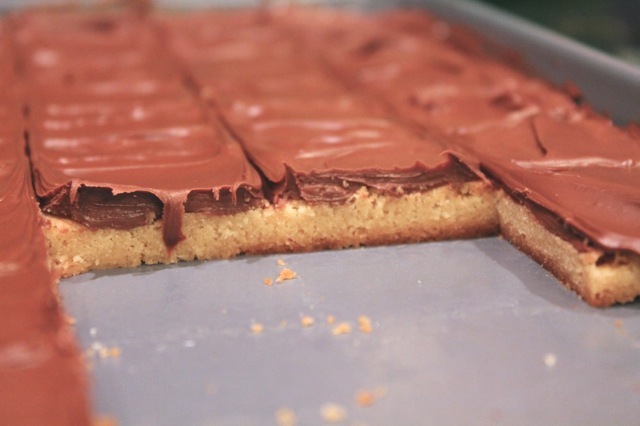 She made them crispy with a thin layer of chocolate on top. 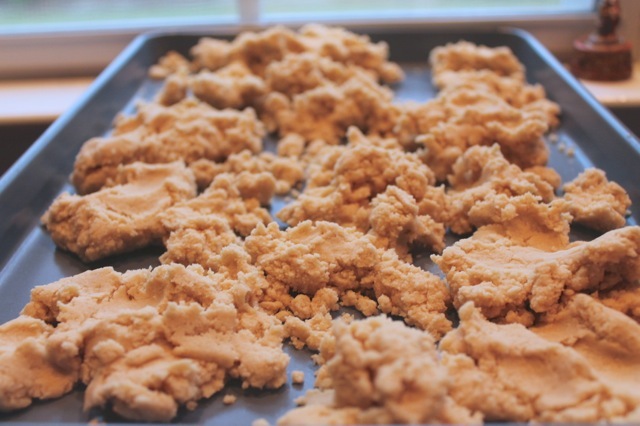 Over the past years I have realized that my husband prefers soft and chewy cookies and so I began making the same dough but baking it in a smaller pan resulting in a thicker, softer bar. 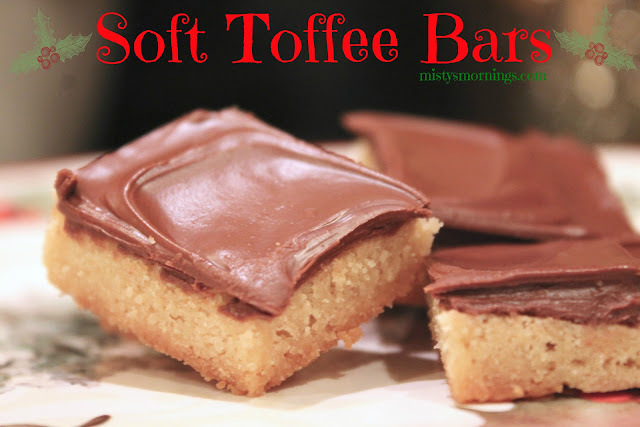 With the addition of more melted chocolate for frosting, my husband now proclaims these soft toffee bars his favorite. 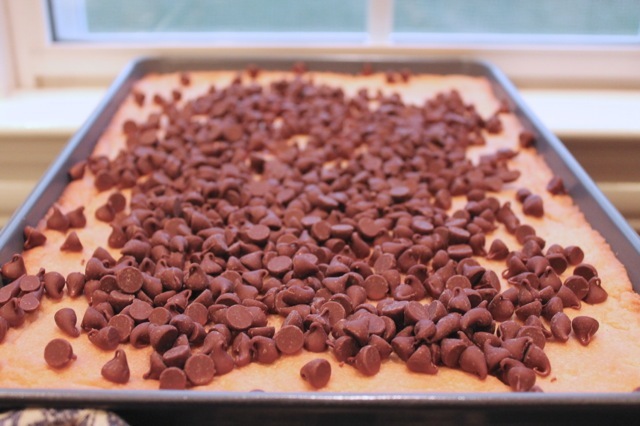 The best part about them is how easy they are to make. 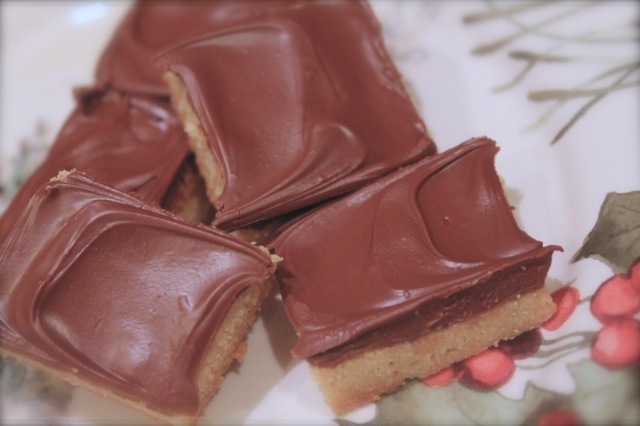 Because they are quite rich they can be cut into small squares and therefore make many cookies in a short amount of time and effort. I brought them to my first cookie swap last week and they were a hit. People even commented that they looked professional. I had to chuckle knowing how insanely easy they are to make. Enjoy! 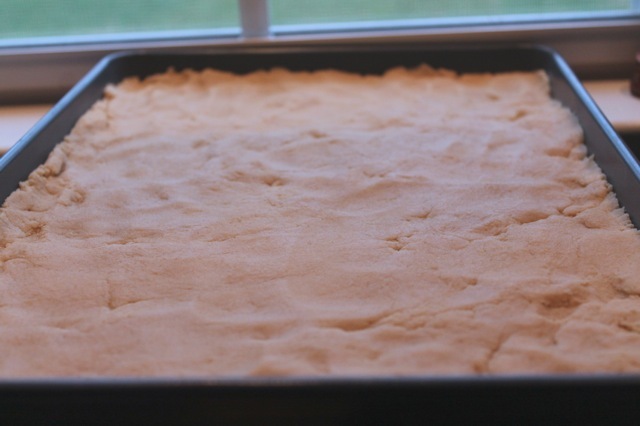 If you are a dough lover, this dough is delicious even before it goes into the oven! 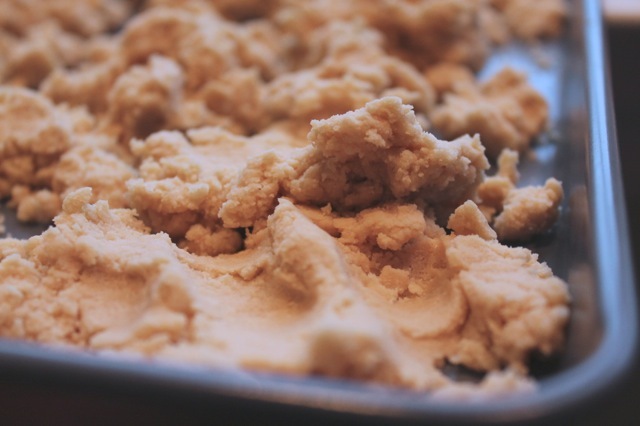 Press the dough firmly to spread over the pan. 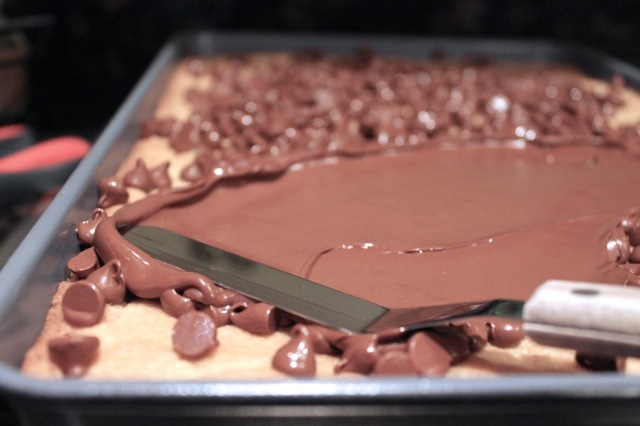 As soon as it comes out of the oven pour on the chocolate chips. Once the ships melt, simply spread. 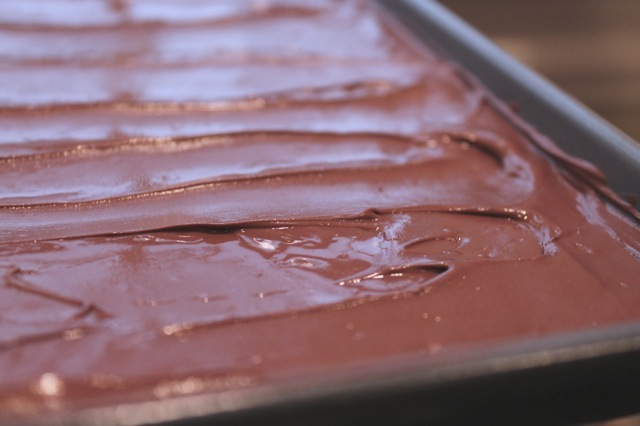 The key to clean edges is to cut bars while still warm.